Halifax Fire Chief Jason Vivieros cautioned area residents to be careful while cooking this Thanksgiving, specifically referring to warnings from the State Fire Marshall’s Office on deep fried turkey. Looking ahead, he also had some sage safety advice about how to safely handle holiday decorations and Christmas trees. Vivieros noted that twice as many cooking fires happen on Thanksgiving than the second busiest day for cooking fires, December 25. “Do not leave any oven or stove unattended while baking, boiling, frying or broiling. Especially, do not leave the house. Stand by your pan,” he suggested. He also noted that water based fire extinguishers do not work on grease fires. The proper procedure for putting out a grease fire on a stovetop is to cover it and smother out the flames. Discharging water on the fire will simply spread it. Proceed to call 911. If an oven fire occurs, first close the oven door in order to starve the fire of oxygen, and do not open it! Next, make sure the oven heat is off. Proceed to call 911. Always evacuate a burning building immediately; do not return inside for possessions. An idea originally from the Southern states, deep fried turkey has become increasingly popular across the country, because it almost always produces a moist turkey. Vivieros echoed State Fire Marshall Stephen Coan’s warnings that deep fry turkey cookers are dangerous, and can even be deadly. “Five gallons of boiling oil or grease over an open flame hardly sounds safe or sane,” Coan stated in his Thanksgiving words to the public. He further goes on to state that many fryers are unstable, particularly models mounted on a tripod stand, which can tip over easily, spilling gallons of boiling grease that can cause a quick fire and severe burns. The Marshall points to other fire hazards, including the possibility that the fryers can overheat to the point of combustion. Sides and handles can become very hot in models that lack a thermostat or have defective temperature controls. 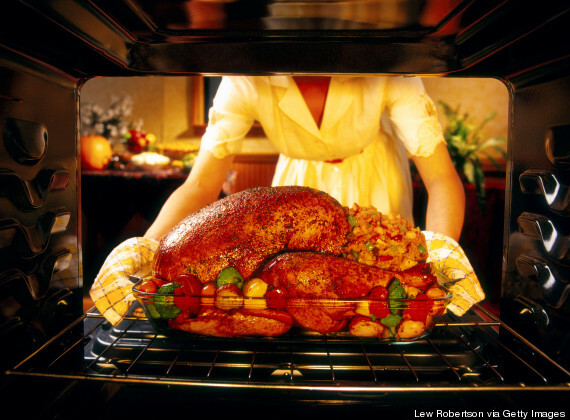 In fact, the non-profit Underwriters Laboratory (UL), an organization that certifies that appliances are safe, has not approved any turkey deep fryer due to their safety issues and the fire hazards that they can produce. The bottom line is to only undertake this dangerous enterprise with extreme caution, out of the way of children and pets and have a plan in place to put out a grease fire if something goes awry. In terms of holiday lights, Vivieros recommends not leaving lights on when leaving the house or overnight. Furthermore, only purchase lights that have a safety seal of approval such as the “UL” symbol mentioned here. Outdoor lights should be designed to be used outdoors. Never put more than three strands of lights on an extension cord, and be sure not to overload outlets, according to the Chief. Also, consider the newer, LED-based lights that are both more energy efficient and run much cooler than traditional lights. Never leave candles unattended and never use them as Christmas tree decorations or near Christmas trees. Live Christmas trees with lights should not be left unattended and should be watered daily to keep them from drying out and becoming a fire risk. Dispose of them properly soon after the holiday. Trees should also be kept away from heat, mounted in a “tip-free” stand, and decorated only with fire retardant decorations. Artificial trees should be marked as fire retardant and never hang lights on metallic trees. Vivieros also pointed out that it is illegal to use a cut (live) tree in a place of public assembly. That would include not just public buildings, but apartment lobbies or restaurants. For any questions on this or any other fire safety related topic, contact the Halifax Fire Department on their business line at 781-293-1751. The Chief and his department wish the everyone a safe and happy holiday season.